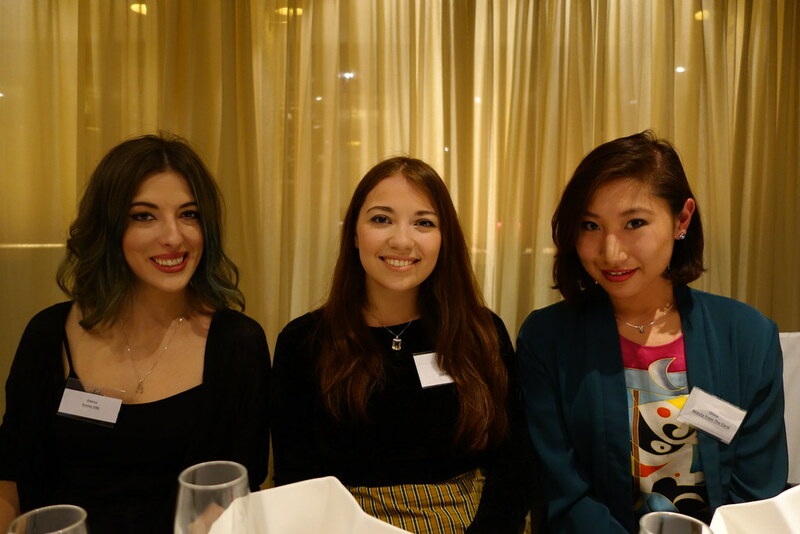 I was recently invited down by the lovely people at Joe Blogs to a bloggers’ afternoon tea at the Millennium Hotel in Knightsbridge. Those who know me well know that I’m not particularly a fan of cake, but when I was informed that Le Chinois at the Millennium Hotel offers a dim sum afternoon tea I was ridiculously excited. 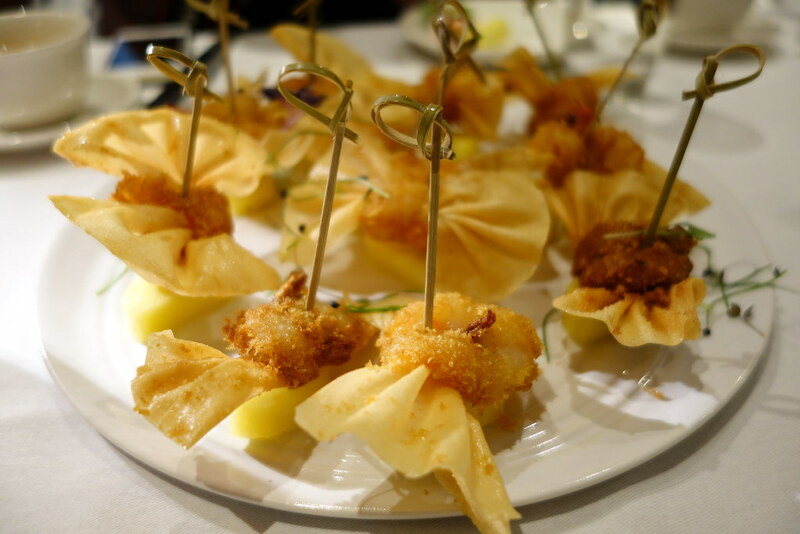 All the excitement of afternoon tea combined with my endless love for dim sum – what could be better? 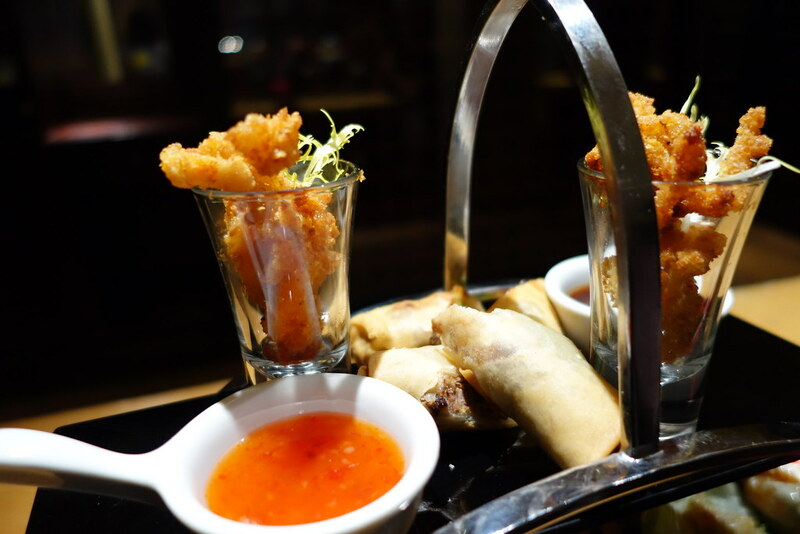 The concept of the Chinese afternoon tea is a new one, but for £25 per person, the offering at Le Chinois is value for money especially given it’s location. 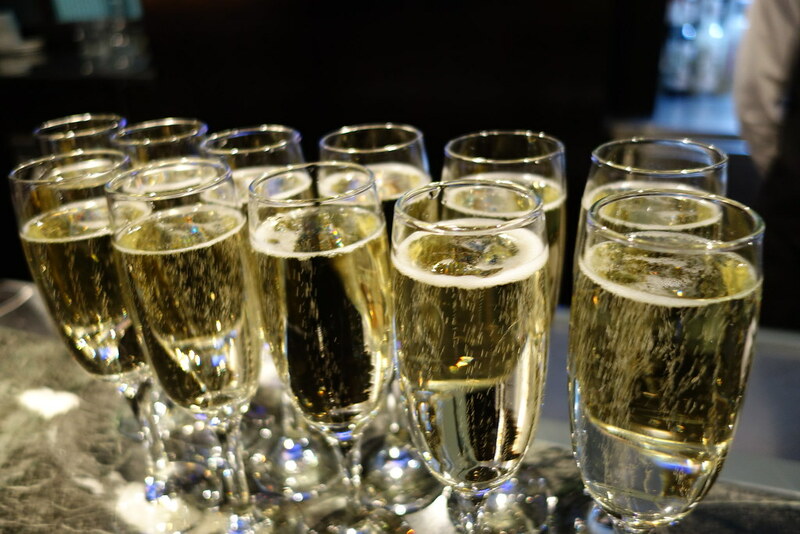 Upon arrival, I was given a glass of champagne while we were busy mingling with the other bloggers, both new friends and old! Once seated, we were given some jasmine tea as our dim sum began to arrive. I was sat next to the lovely Olivia, who I’d met previously on my Zombie Run, and Emma from Emmainks. 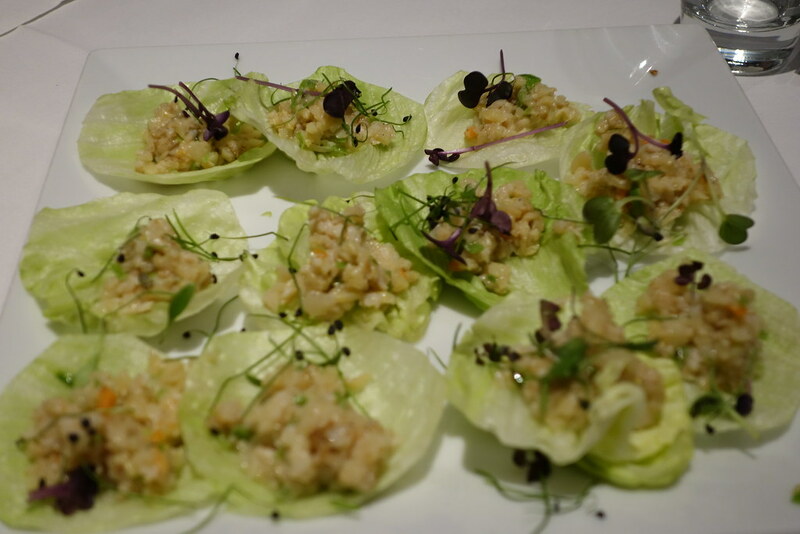 The first dish to arrive was minced chicken wrapped in lettuce. 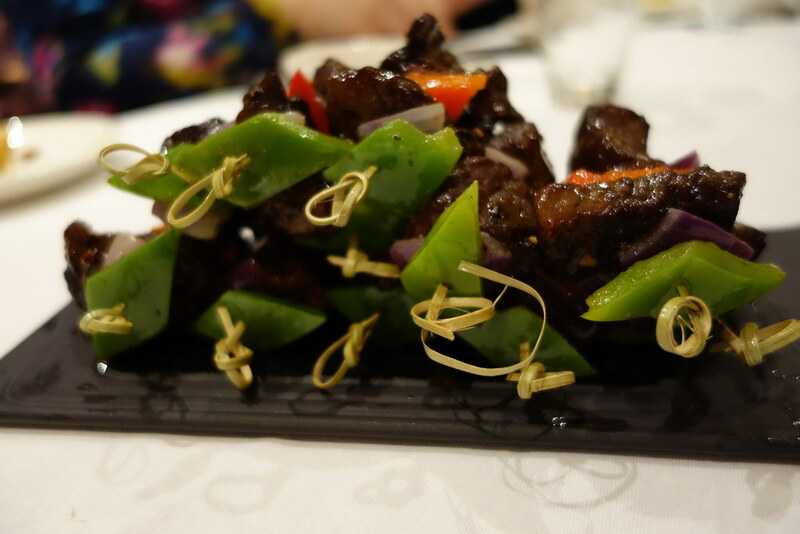 I loved the mixture of flavours and textures of this – they were really moreish, satisfying while feeling light. For the event, we were served everything separately, but if you pop in for the afternoon tea the dishes are all served at once, presented beautifully on a tray. 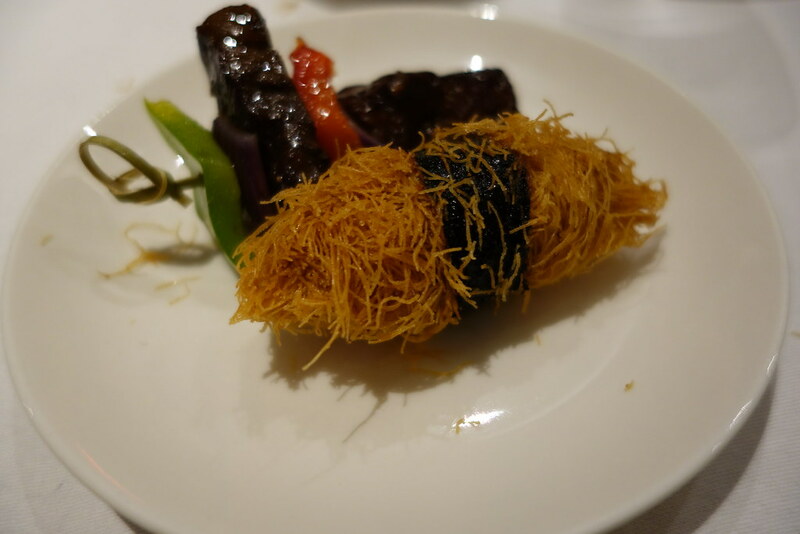 Highlights of the meal for me were the crispy shredded duck spring rolls, the sauteed prawns coated with wasabi cream (which I’ll be sure to recreate soon), crispy scallop rolls and steamed siu mai. Those with a sweet tooth shouldn’t fret – a delicious pink and green mochi cake (a sweet rice cake filled with red bean paste) is sure to keep you satisfied! 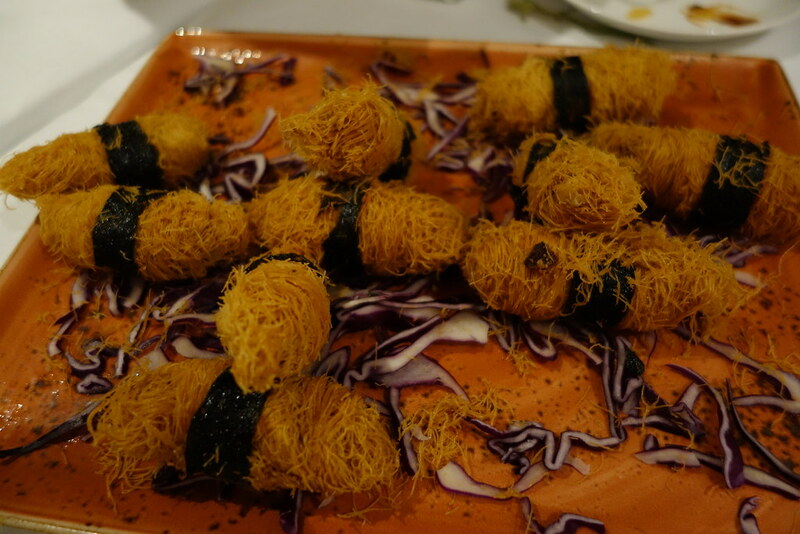 Other items on the menu included crispy scallop rolls, chai siu pork buns, dip-fried prawns with passionfruit coulis and fresh sliced mango, along with pepper and beef skewers. The items that I tried were beautifully presented, light and appetising – a really nice alternative to a traditional afternoon tea. 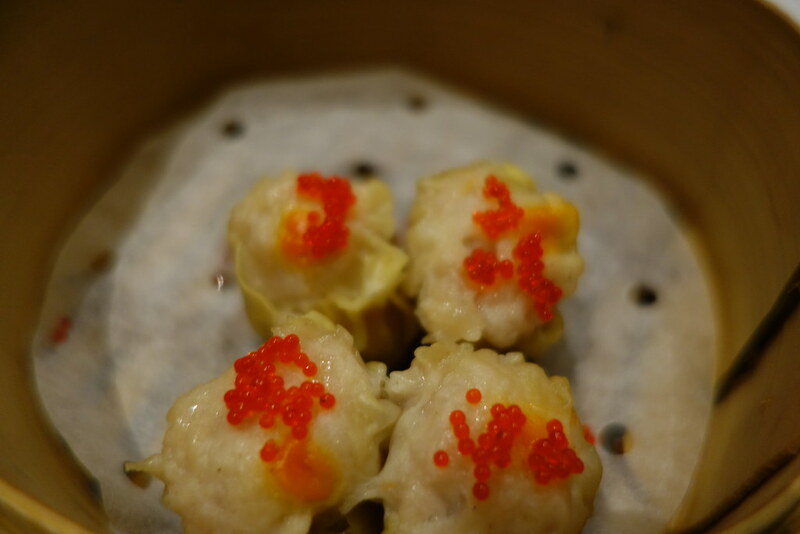 Having just come back from Hong Kong, and having a mother who makes the most incredible siu mai in the world, I can’t honestly claim that the dim sum was the best I’ve ever had, or particularly revolutionary, but the dim sum was pleasant and tasty. 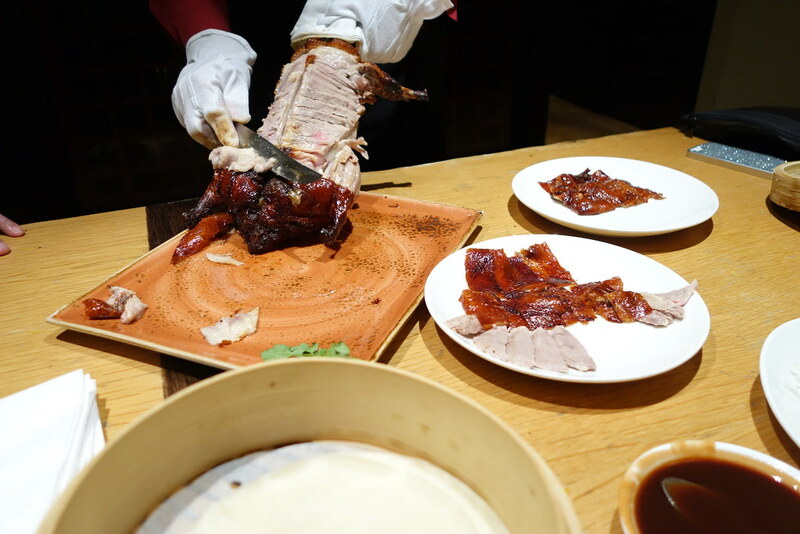 We were lucky enough to be shown how to carve a traditional Peking duck – though I was too fixated on taking pictures to try any myself, a massive error on my part! 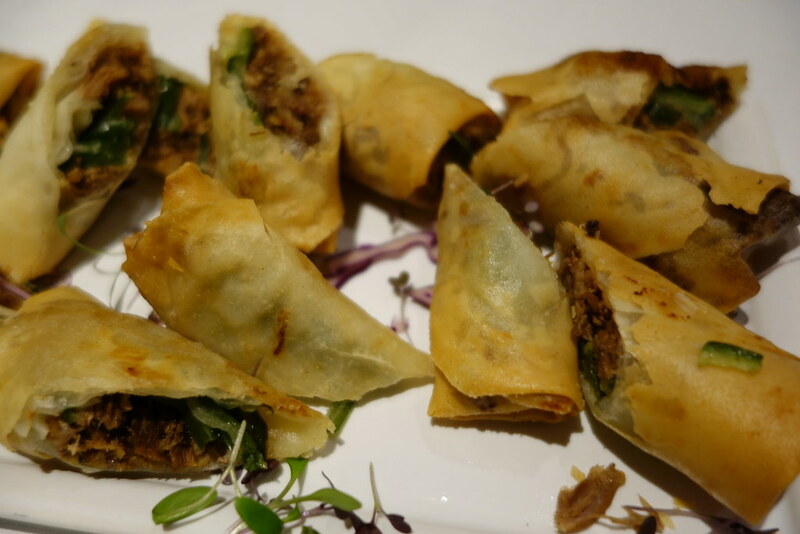 I am completely enamoured of the dim sum afternoon tea concept, and I think the Millennium Hotel provide a beautifully presented option which is great value for Knightsbridge. 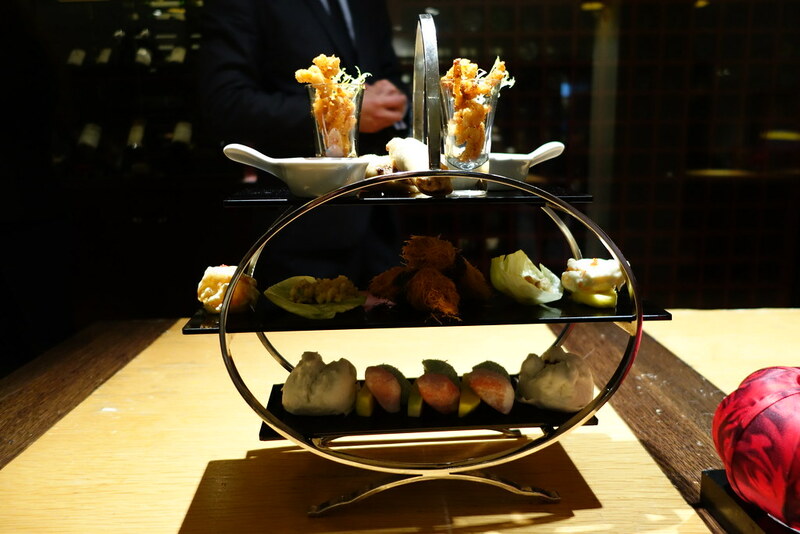 Dim sum traditionalists might not take to Le Chinois’ offering, but for £25 the Chinese afternoon tea is a safe bet for an unusual London afternoon tea experience. Thanks so much to Joe Blogs for hosting such a fun event! Although my meal was comp’d, all opinions are completely my own. 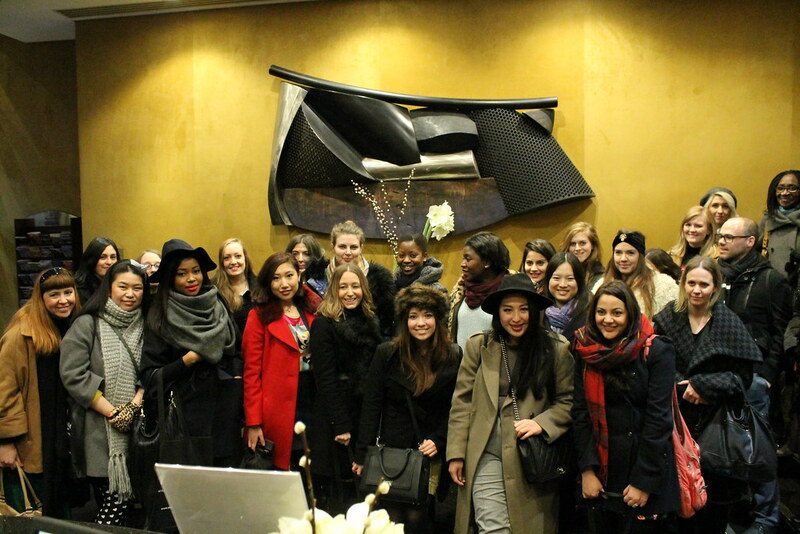 Le Chinois is located within the Millennium Hotel Knightsbridge, at 17-25 Sloane Street, London, SW1X 9NU. The Chinese Afternoon Tea is available at £25 per person. That was such a fun afternoon and really lovely to meet you! Also completely agree dim sum trumps cakes every time.